Brought to you by CBS Power Tool Uk. 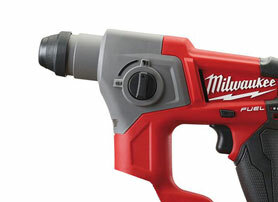 We stock the full range of Milwaukee power tools and accessories and distribute it in the UK. Direct to you from our website or trade counter. Call now or buy online. The advanced 18 volt cordless FUEL range is now FASTER, STRONGER & SMALLER. Delivering the most power on the market in a much more compact size. Milwaukee has engineered more steel and copper into its brushless motor range, resulting in longer motor life, less heat build-up and higher efficiency. The Milwaukee M18 lithium-ion cordless range is designed for trade and professional users who are looking for long lasting power, superior reliability and enhanced productivity. 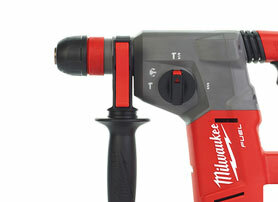 Milwaukee SDS plus hammer drills designed for heavy duty professional and industrial usage. Milwaukee is renowned for manufacturing power tools with excellent build quality and long-lasting reliable service. Their range cordless saws and grinders is no exception. We stock a wide range of genuine Milwaukee accessories from drill bits and saw blades to torches & tool bags. 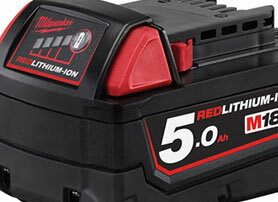 Milwaukee REDLITHIUM-IONTM battery packs provide significantly more run-time, power and recharges than any other Lithium product on the market. 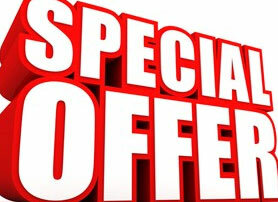 See our range of our limited deals and special offers - available only at these prices while stocks last! 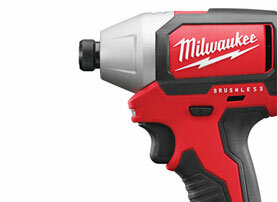 Why buy Milwaukee Tools in our UK store? 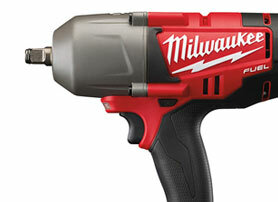 Milwaukee® is one of the world's leading manufacturers of heavy-duty corded and portable battery power tools. Founded in 1924, Milwaukee takes pride in producing the highest quality, durable and reliable professional power tools. Milwaukee produce a wide range of rechargeable cordless tools in their famous signature red design, from drills, drill/drivers, impact wrenches, saws, grinders to percussion drills and heavy duty SDS hammer drills. 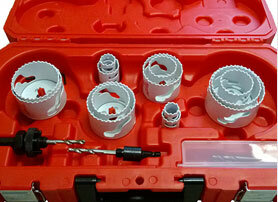 Milwaukee Extended 3 Year Warranty now available on new tools. Register your tool online to ensure you are fully covered. 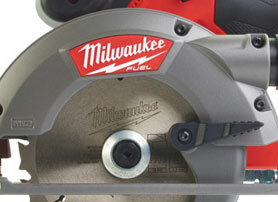 We are an approved dealer and service repair agent for Milwaukee power tools. Our fully trained engineers operate from a purpose built, fully equipped workshop, enabling us to offer full equipment servicing, general repairs and warranty repairs. The POWERSTATE ™ Brushless Motor, REDLITHIUM™ Battery Pack and REDLINK PLUS™ Intelligence Hardware & Software deliver unmatched power, run-time and durability. The standard warranty on Milwaukee tools and accessories is 12 months from the date of purchase, however, Milwaukee offer a three-year extended manufacturer warranty on the majority of new tools if you register your product on-line within 30 days of purchase.